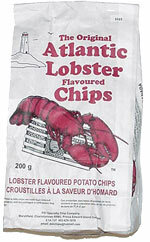 Taste test: The film crew from cable channel NECN/Worcester News Tonight was eager to try these when they saw the bag. They tried them, and they thought that the chips were awful. In fact, they all agreed that these were the worst chips they've ever tried. 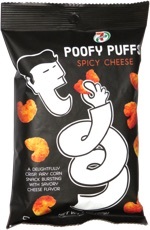 Our own chiptaster thought that these were nothing great, but we've had worse. Nobody thought that they actually tasted anything like lobsters. Smell test: These smell pretty bad. This snack was discovered by Michelle Maher. Review published .